In case you missed yesterday’s post from Who Am I, here is the link: Who Am I? I Am Christ’s Friend. The first two are right here: Who Am I? I Am God’s Child, Who Am I? I Am Accepted in Christ. This is the fourth post in this series and even though these posts do not “build” off of each other it is still nice to know the other truths of who we are in Christ. Today, I want to remind you that if you are a believer then you are justified in Christ. 3. In Theology- to declare innocent or guiltless; absolve; acquit. So, their definition, at least their third, deals with justice/law. Answer: Justification is an act of God’s free grace, wherein he pardons all our sins, and accepts us as righteous in his sight, only for the righteousness of Christ imputed to us, and received by faith alone. Justification is an act of God based on the obedience and death of His Son, which comes about by the sinner confessing their trust in Christ and is demonstrated as genuine by bearing good fruit. All of this to say that if you are IN Christ then you are justified. Acquitted of the guilt of your sin. 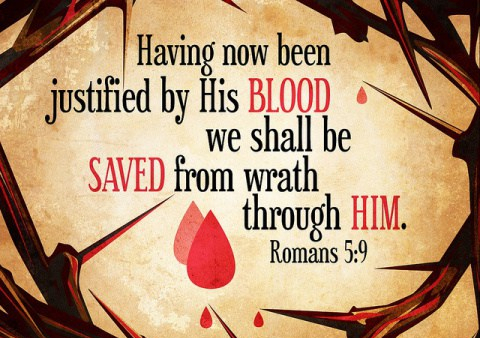 Your sin is absolved by the blood of Christ. You stand before the Holy and Just God of the universe innocent because of Christ’s work, not your own work. Justification is a finished act. Look at Romans 5:1, “Therefore, since we have been justified by faith, we have peace with God through our Lord Jesus Christ.” It is past tense. It happened. Not is happening or will happen, but we were justified. We continue to be sanctified, but not justified. We have already been declared righteous once and that is all it takes. Because we have been declared righteous we now have peace with God. All this comes through Jesus Christ.